We have seen some demo’s with fishtanks and aquariums, but I found a much more elegant showcase here. It stresses the beauty of infinity and brings focus to the relationship between simplicity and complexity, often found in nature. An intriguing animated M.S. 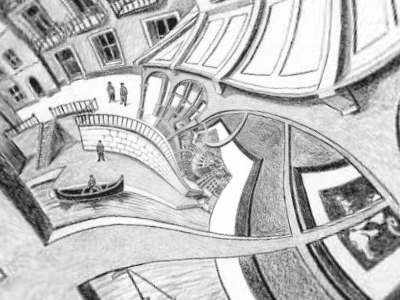 Escher drawing. This entry was posted on Friday, July 1st, 2011 at 11:43 am	and is filed under browser, Webtechnology. You can follow any responses to this entry through the RSS 2.0 feed. You can leave a response, or trackback from your own site. WebGL is only supported by Firefox and Chromium at the moment. Hope that Opera and Safari will follow soon. I guess offering cross-platform support in combination with hardware support is quite a challenge, especially on Linux with meagre support by hardware vendors.